Protein Cleaning Solute Concentrate | Page & Pedersen International ltd. Protein Cleaning Solute Concentrate (in 250 ml plastic bottle). 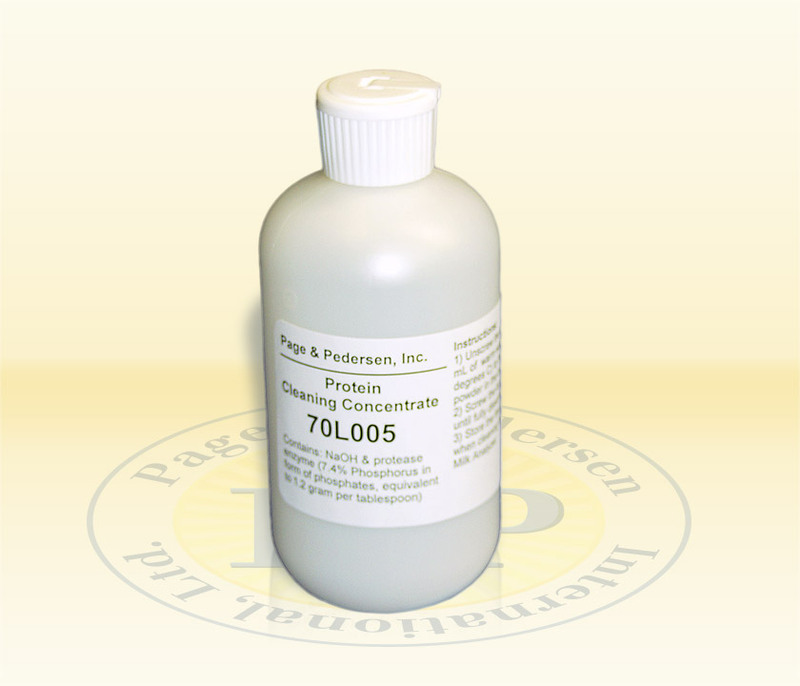 Special Enzymatic Alkaline Cleaning Solvent for heavy duty cleaning of Protein sediment. Just add .25L of hot water and the cleaning solution is ready to use in the LactiCheck™ Milk Analyzer.